We love travelling here at T3. Whether it's exploring cities or sitting on the beach and soaking up the sun, there's nothing better than going somewhere new. It's not all perfect, however, and by far the biggest annoyance you can experience when travelling is waiting at the baggage claim, with the full knowledge sun, sea, and a strong alcoholic beverage is waiting for you. Not only is it frustrating having to wait for your suitcase, but people become so territorial over their space near the conveyer belt that a fight could break out at any minute. It's not a great start, or end to your holiday, but all that could be about to change with this simple travel hack. 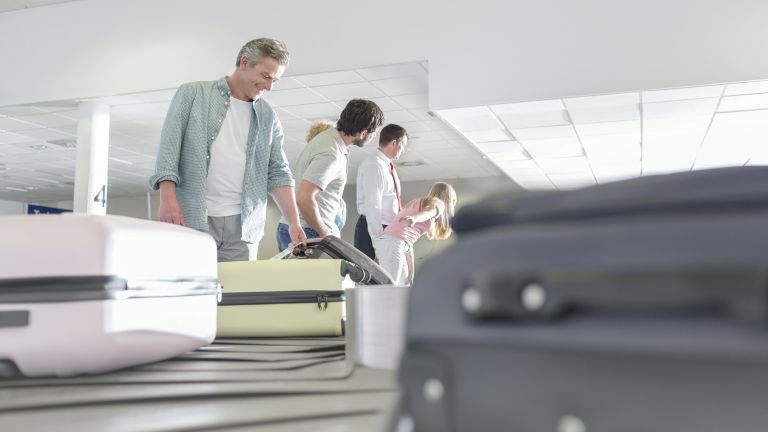 The experts at Travel + Leisure Magazine have revealed that all you need to do to get your baggage first is ask the representatives at the check-in counter to attach a fragile sticker to your suitcase. This is because "Bags that are marked as fragile will typically be loaded later and come out before the other bags. Plus, they're also likely to get less wear and tear." It's ingenious! We'll definitely be trying it next time we go on holiday. The site also states that flying in first or business class, or by joining an airline’s frequent flier club will help you receive that precious priority luggage tag. Looking for a suitcase to try this hack with? You should check out T3's buying guide to the best suitcases. It has a suggestion for all-budgets and travel-styles, from Globe-Trotter's iconic Trolly Case, to American Tourister's Red Dot design award winning Soundbox. We're currently using Away Travel's stylish Carry On suitcase, which not only looks great, but also features an ejectable battery pack which can be used to charge your smartphone, tablet, Nintendo Switch etc.